The Gaia Hotel & Reserve achieves an ideal blend of modern amenities and natural scenery. Nestled in the magnificent coastal forests of Costa Rica, the hotel's well-appointed, terraced suites and villas offer views of lush and pristine wild surroundings that are beyond compare. 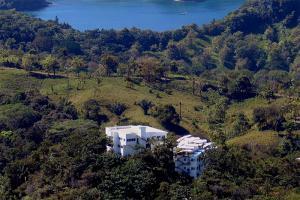 The hotel sits on a vast tract of lowland coastal forest, teeming with spectacular and rare wildlife.